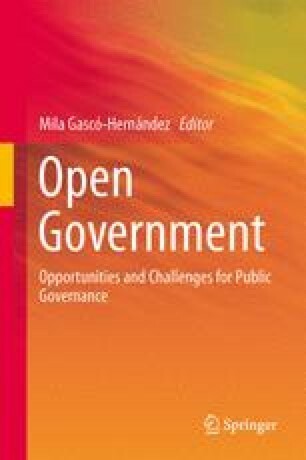 This chapter challenges existing impact assessments of open data in the public sector for three reasons: (1) the exclusive focus on economic effects of open data and not on other desirables such as a clean environment, good education, equitable health care, etc. ; (2) the assumed linear relation between open data and impacts that ignores the dynamics of the interactions between the various stakeholders that may result in unpredictable and unforeseeable outcomes; (3) the homogeneous perspective on open data in the public sector that fails to acknowledge the variation of open data incentives, practices and consequences between countries and business sectors. As an alternative to “naive impact assessments,” this chapter develops an approach that embraces the complexity and contextuality of societal dynamics and takes a variety of values and desirables into account. We argue that whether open data delivers its “promise” depends on specific, local interactions that can be managed and controlled to a limited extent. Open data and its uses should be studied as social constructions that emerge over time in a specific context. We use two cases—open data in public transportation and in policing—to show the use of our perspective. For policy makers the complexity, contextuality, and multi-value approach means that they should shift their focus from working on “grand open data designs” to facilitating and promoting smart, local, pluralistic approaches to open data. Veenswijk, M., Koerten, H., & Poot, J. (2012). Unravelling Organizational Consequences of PSI Reform: An In-depth Study of the Organizational Impact of the Reuse of Public Sector Data. ETLA Working Paper 1275. https://www.etla.fi/en/publications/dp1275-en/.